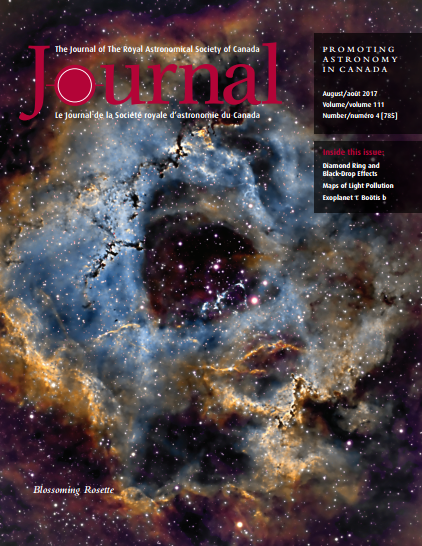 The August RASC Journal was uploaded to the members area. Spotted Bill's photo of Lunar X inside the back cover. Congratulated him. He said he's not a RASC member anymore. Spotted Malcolm's aurora shot from May on the back cover. Congratulated him. He wondered how I obtained the Journal. It will be interesting to read Peter Hiscocks's article Maps of Light Pollution. Blair MacDonald continues his imaging software masks topic. My software review column Binary Universe featured the Solar Eclipse Timer for iOS and Android. The inexpensive app accurately computes the times of first through fourth contact and will issue audio prompts during the eclipse. I reviewed the Android version (1.3) with assistance from the author.